We set off on the long journey to Geneva in the middle of night/ early morning Friday 13 February. It was a small party of 21 students accompanied by Mrs Peters, Mrs Subbiani and Mr Little. We eventually arrived in the resort at 3pm that afternoon and got kitted out with all our ski gear. Although it was forecast to snow, we were blessed with sunshine and blue skies across the panorama of snow-covered mountains. 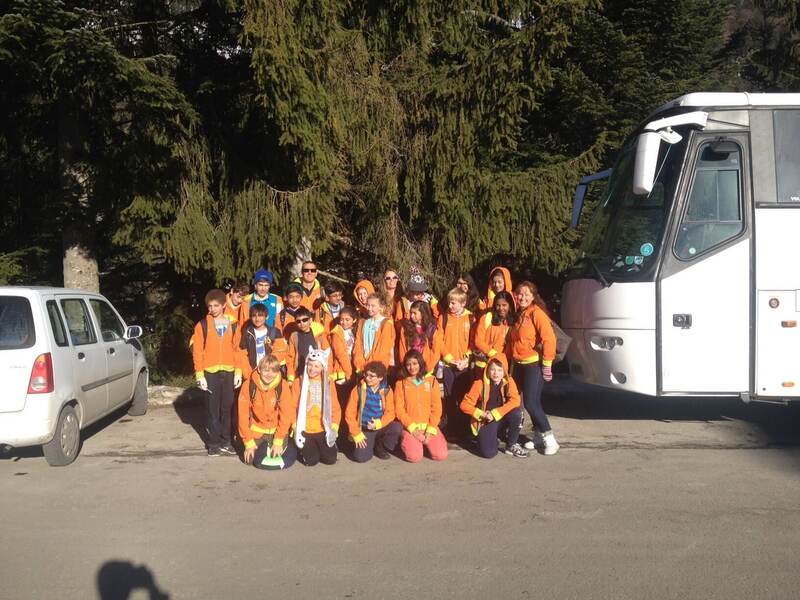 We were slightly disappointed to hear the two connecting chairlifts between La Jorette and Plan-de-Croix were not functioning due to technical issues as this meant a short walk to the bus and a 5 minutes bus ride round to the more extensive lift system and the gateway to France via the slopes each day, however, the students became experts at transporting their equipment down the sometimes, icy track and despite the odd wayward glove, hat or lift pass, they were ready on time for their ski instructors. On the fourth day, the mist rose up from the valley floor and engulfed the village of La Jorette. The temperature dropped, but half way up the chairlift we climbed back out of the mist and rejoined the clear blue skies and sunshine. The weather was kind to us from then on! The beginners group came on in leaps and bounds under the guidance of the instructor, Richard and by the fourth day he had them zooming down red runs and skiing for lunch in France. 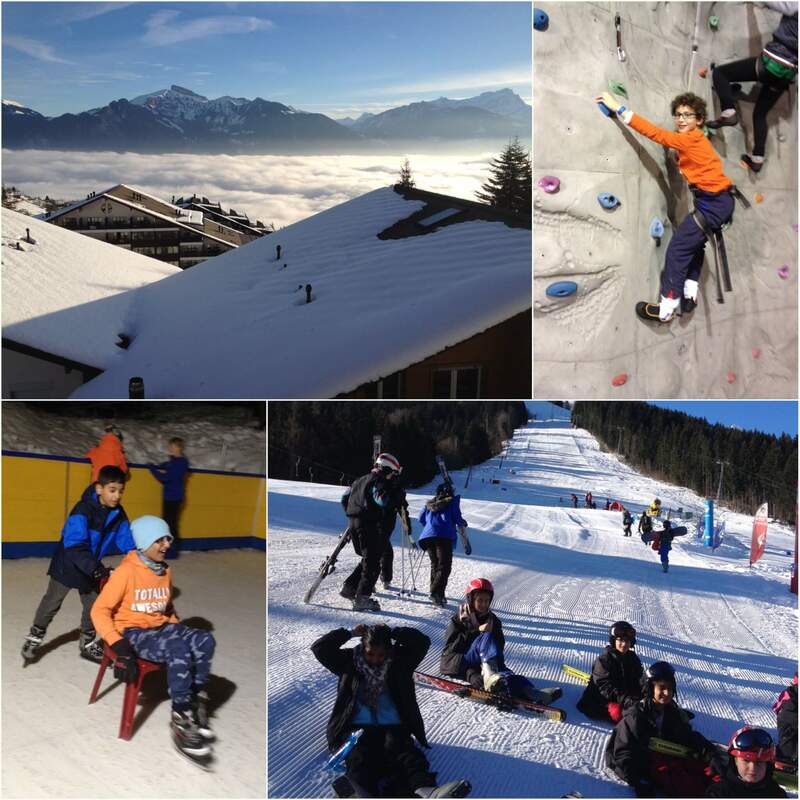 The progress was incredible and for some of the children, who had never seen snow before let alone skied, it was really quite remarkable!